Önizleme boyutu: 788 × 600 piksel. Diğer çözünürlükleri: 315 × 240 piksel | 631 × 480 piksel | 1.009 × 768 piksel | 1.280 × 974 piksel | 3.329 × 2.534 piksel. Today, use of the complex as a place of worship (mosque or church) is strictly prohibited. 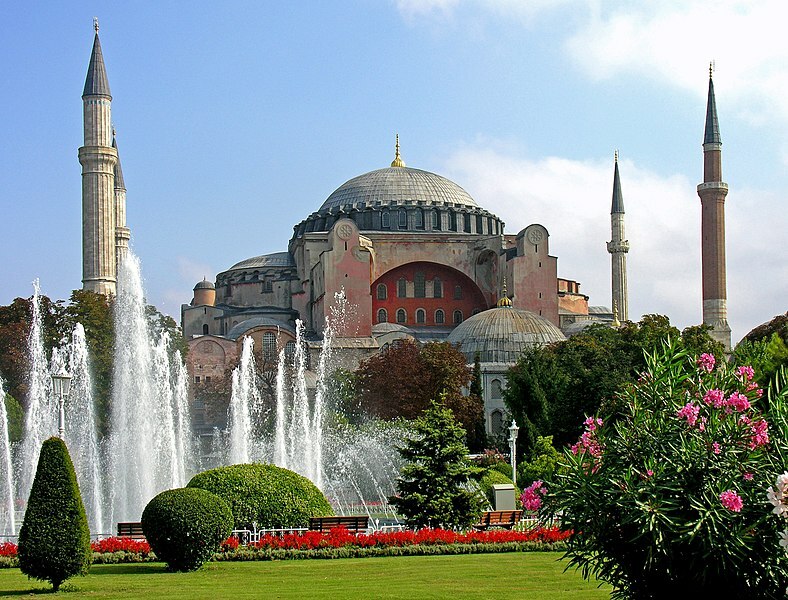 However, in 2006, it was reported that the Turkish government allowed the allocation of a small room in the museum complex to be used as a prayer room for Christian and Muslim museum staff. This image, originally posted to Flickr, was reviewed on 31 December 2012 by the administrator or reviewer File Upload Bot (Magnus Manske), who confirmed that it was available on Flickr under the stated license on that date.